As teachers at Marjory Stoneman Douglas High School, my colleagues and I feared it was only a question of when — not if — a student would commit suicide. No one who saw the mental health services that our students received after the shooting would be surprised. But no one outside our school saw it. CNN just won the Cronkite Award for its town hall on the Parkland shooting and gun control. If it had instead sent a camera crew into the school, I think Sydney Aiello and Calvin Desir might still be with us. One look at the school’s media center in the weeks after the massacre would have revealed that the “care” provided by the Broward County School District was only reinforcing the trauma. The school district filled the room with elementary school counselors who had no background in trauma counseling and told students to seek help there if they wanted. The school district did not solicit the advice of mental health experts or implement a basic standard of care. There weren’t even privacy curtains. If a student tried to talk but broke down and cried, everyone could see. What’s more, the counselors cycled in and out of the school on short stints, so students couldn’t even expect to talk to the same person twice. Soon, they stopped seeking help. But I can hardly begin to tell you how much that hashtag hurt us. We all felt pressured by it to look #MSDStrong. If you admitted you were hurting, were you really being #MSDStrong? If you needed more help, were you really being #MSDStrong? The Broward school district’s employee assistance never called me or other teachers in Building 12, where the shooting occurred, to offer us mental health services. When I called them, they told me they didn’t have any appointments. But the district did find the time to shepherd us into photo shoots to show the country that we were #MSDStrong. The only things the school district did effectively after the tragedy was, as our local newspaper showed, “hide, spin, deny and threaten.” School district leaders falsely labeled facts about what went wrong as “fake news” and put all the blame on the National Rifle Association. It made for such a nice, simple story: They did this, but the kids will win. But Parkland should go down in history as a case study in local incompetence aided and abetted by national partisan-driven coverage. It seemed like everyone — from the Grammys to ESPN — was celebrating how strong our students were. But no one stopped to ask if they were actually all right. Certainly not the leaders of the Broward County School District. So much suffering could have been mitigated if our local leaders had focused more on getting kids the help they needed and less on trying to craft a national political narrative. On behalf of all my colleagues, I implore reporters: The next time there’s a school shooting, please look into what’s actually happening at the school after. Kids’ lives will depend on it. And on behalf of all Marjory Stoneman Douglas students, teachers and parents, I hope the district will finally take mental health seriously, so that these two senseless suicides don’t mark the start of an epidemic. Kimberly Krawczyk is a math teacher at Marjory Stoneman Douglas High School in Parkland, Florida. This tragedy changed our community and Marjory Stoneman Douglas High School forever. Immediately following the shooting, the district focused on the wellness of students, faculty, families and the community. We moved as quickly as we could to open five locations for the MSD community to receive mental health support, including the Broward County Resiliency Center, which is open seven days a week in partnership with the city of Parkland. The Broward County Resiliency Center serves those who seek individual, family and group counseling. Today, the center is staffed with two full-time licensed clinicians, who provide trauma-informed counseling services. The center offers drop-ins, individual appointments, family therapy appointments and group therapy. Our district continues to assess the needs of students across the county and to leverage all available resources to address those needs. —Prior to the February 14, 2018, tragedy, five family therapists were trained in Trauma-Focused Cognitive Behavioral Therapy (TFCBT) by the Medical University of South Carolina. 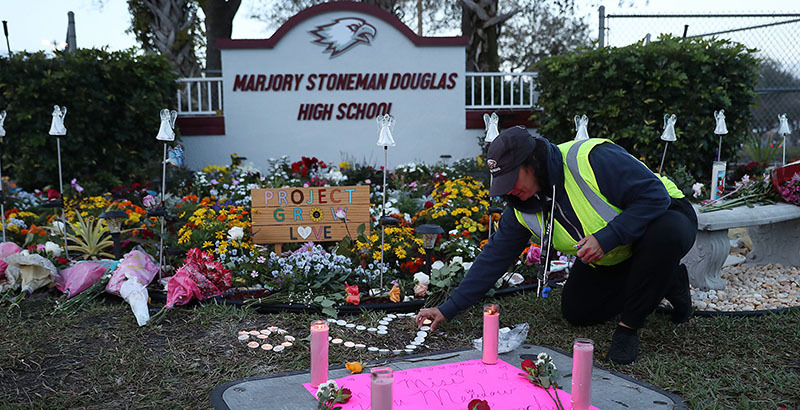 Following the tragedy, these clinicians were immediately placed at Marjory Stoneman Douglas High School to provide treatment. —Since February 14, 2018, the university has trained an additional cadre of almost 50 district staff (family therapists, school social workers and school psychologists). The university continues to provide clinical supervision until May 2019. —An additional 32 staff members were trained to assess and identify students who may be exhibiting symptoms of post-traumatic stress, and refer the students to a certified TFCBT clinician. —The district engaged national experts, including the National Center for School Crisis and Bereavement (who met with the parents of the deceased and injured), The Center for Mind-Body Medicine, the National Center for Victims of Crime, the University of South Carolina Medical Schools trauma specialists and others. —The district consulted with individuals from Columbine, Sandy Hook and Pulse.